This is a slow motion tragedy of icy fragments, hundreds of them, separated by miles of narrow roads, buried under feet of snow and shaken from beneath by after-shock. Electricity has failed, trees are down, animals are dying, families are forced out into the open, emergency services struggle to help … pockets of anguish burst … this is beyond what many can bear. It is a repeated and fracturing agony … one that is increasingly difficult to help due to collapse and harsh weather. I struggle to imagine how desperate it must be for those involved, particularly in isolated rural communities. Through social media we hear from them occasionally, cut off and remote, in the language of their distress – Italian. Some sound resolute, others more fragile, more damaged. Already they carry scars that, if left untended, will corrode the roots of community, scars that will persuade many to leave. 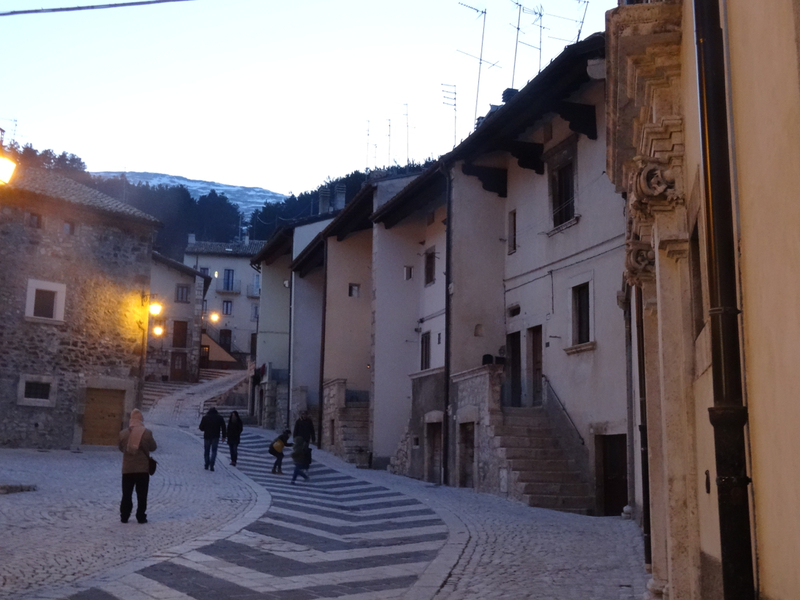 In the time we had in Naples we had two holidays in the central mountains of Italy. 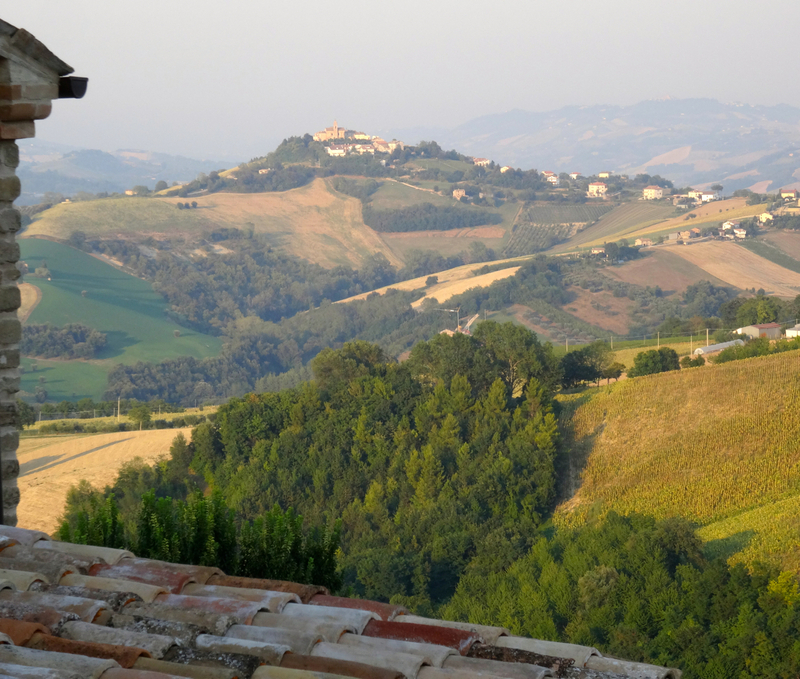 The first was in the summer of 2015 when we spent a long weekend above the sunflowers and farmlands of Le Marche. Here there was a sense of life returning, of opportunity and energy, of building for the future … but the growth was fresh and still in need of nurture. 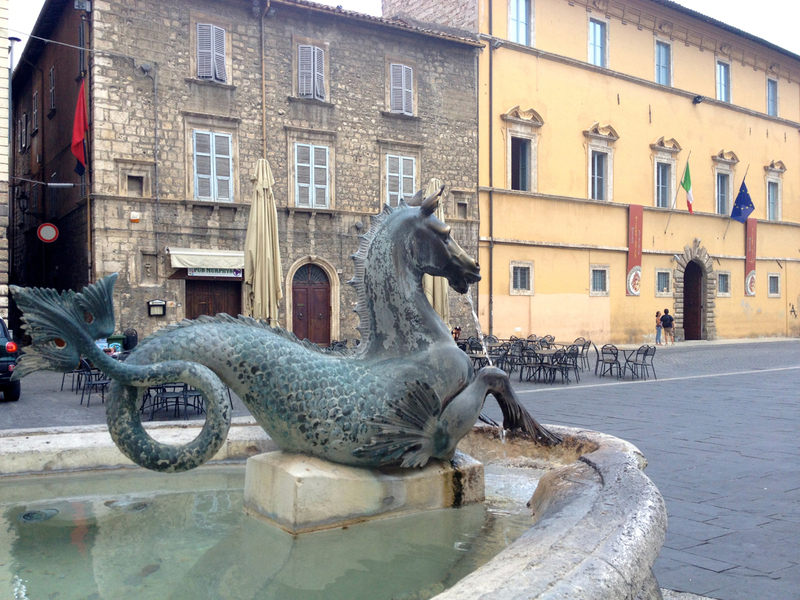 In lovely Ascoli Piceno, one of the same region’s biggest towns, there was hope and welcome … but also empty space to fill. 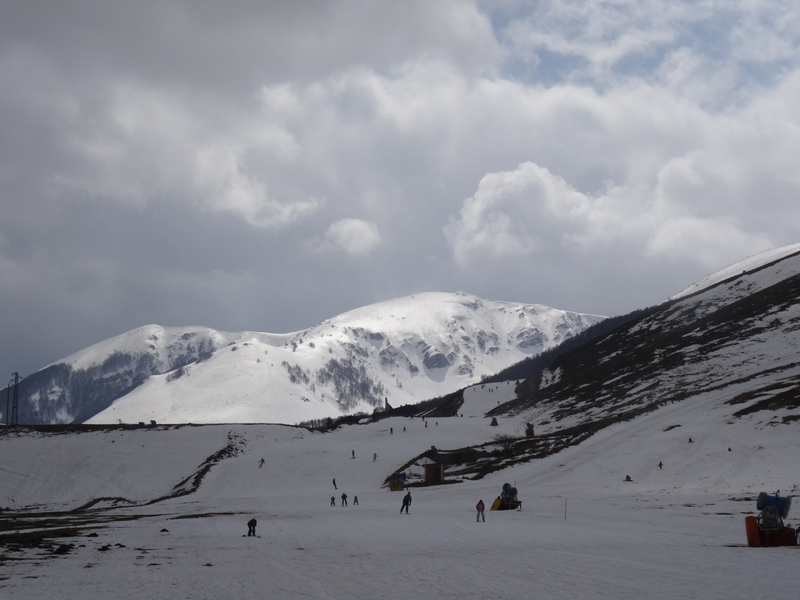 The following year we had a week’s skiing in Abruzzo. Here too the hospitality was fantastic … we could not have asked for more. 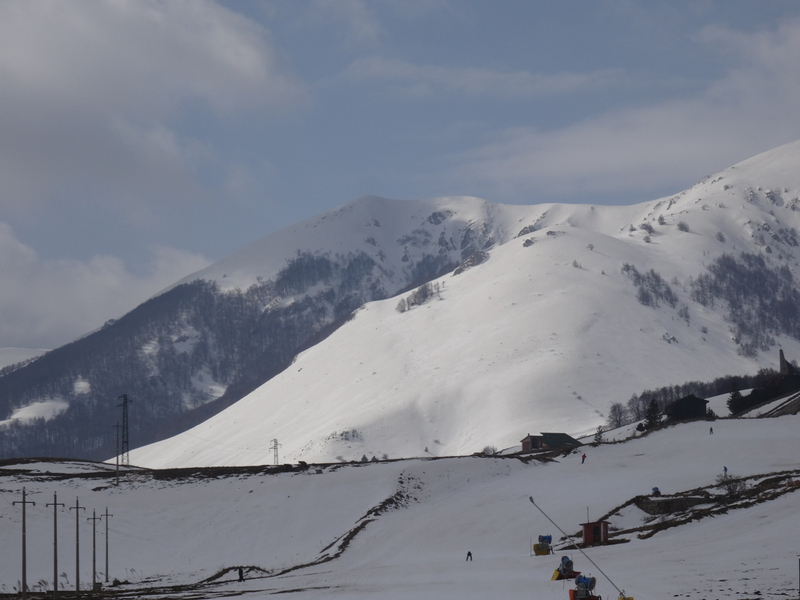 There were not many foreign tourists but plenty from Rome were on the slopes. We were part of an established playtime that, although not crowded, felt secure. Now, and in just a few months, all these communities will have had their courageous gains challenged by forces beyond their control. Those who have already given so much will be asked to give even more. I hope they can find the strength and that Italy and her neighbours will provide the support that’s so urgently needed. This evening here in England the Earth is still beneath the cold. I hope that in Italy too she will lie quietly. 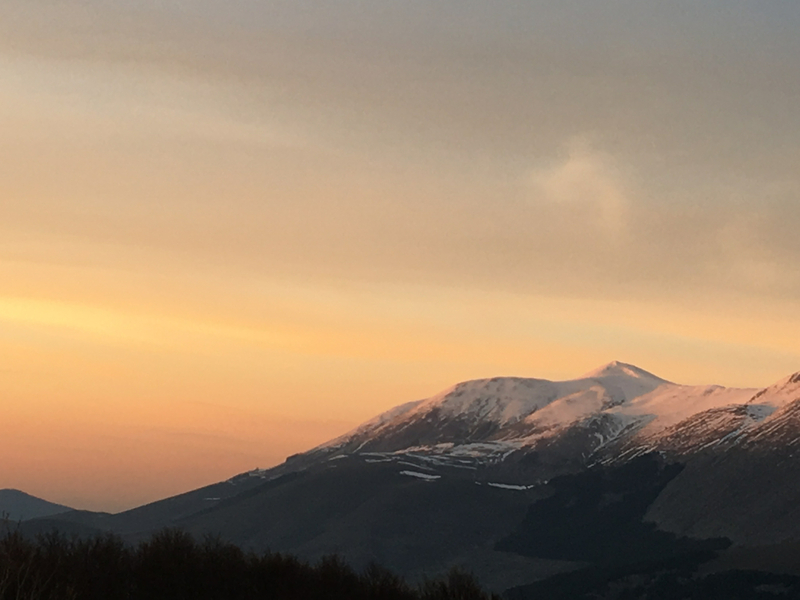 This entry was posted in Abruzzo, Italy, The Apennines and tagged Abruzzo, Apennine Mountains, avalanche, central Italy, cold, earthquake, Le Marche. Bookmark the permalink. So well written Georgie, and so tragic for all those involved in, and affected by, the awful disaster. Thank you Rod – it must be so freezingly difficult and dangerous for all of them. My thoughts and prayers are with them also Georgie. It is not fair how much disaster Italy has had in recent times. Lovely post. It is all so sad … thank you Lyn.